The Canterbury Choir is comprised of volunteer singers, all of whom commit themselves to regular attendance at weekly rehearsals and Sunday services. A wide cross-section of persons within the Congregation are in the Choir, including Champaign/Urbana residents and those within the University community, incorporating those whose musical training ranges from amateur to professional. The personal commitment of each member to regular attendance is the key to its musically inspirational success. The very real fun of singing in the choir is a direct result of the fellowship which thinking, listening, and singing together provides. The choral library is one of the most complete in the area, and we commission new anthems from prominent composers within the Anglican Tradition from time to time. 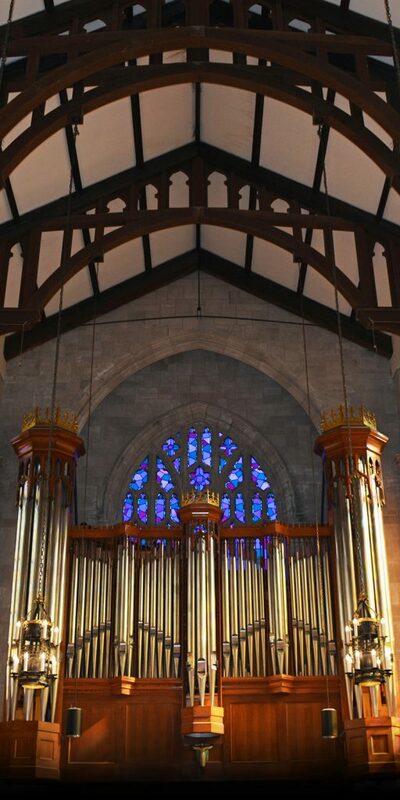 If you would like to discuss membership in the Canterbury Choir or Choristers with the Organist/Choirmaster, please contact Linda Buzard at (217) 344-3426 or through e-mail: lbuzard@gmail.com.